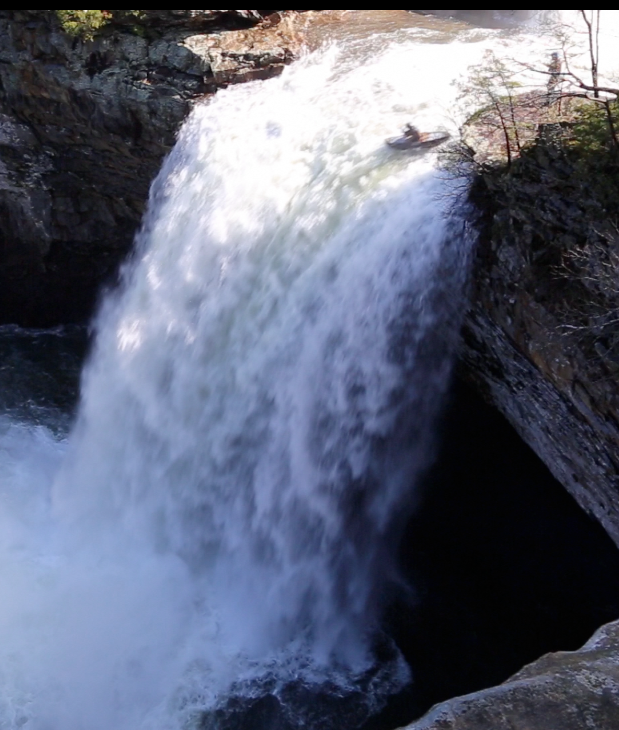 NOC Master Guide Brad McMillan ran a 70′ waterfall in Alabama last week—a new world record for an open canoe. His party included three other paddlers, all of whom made the run successfully. Brad's only injury was a minor abrasion; his chin hit his canoe on impact. The previous world record was 60′, set by Jim Coffey on the Alseseca River's La Cascada de Truchas in Mexico. Jim's record only stood for six months, but he was the first person in 20 years to best the 55′ mark set by Steve Frasier on the Elk River here in North Carolina. Brad is one of NOC's star paddlers, providing this popular 2013 video of running 45′ Celestial Falls on the White River in Oregon. And here's Brad's video of his decked C-1 (not an open canoe) racing in the popular Green Race last year. And for those of you who aren't paddling buffs, a decked canoe (like this one paddled by Jessica Fox) is typically water-tight and uses a spray skirt to keep water out. An open canoe (as seen in this photo of Don Kinser at Soc 'Em Dog) is what most people think of when they think of a canoe. Obvisouly these boats aren't made to run enromous waterfalls, but float bags and modern designs have expanded their range—all the way to 70′ drops.